It was 75 years ago yesterday that the United States embarked on an episode that can only be described as shameful. Rounding up and locking up more than 100,000 men, women and children who had committed no crime except to arouse the fears of their neighbors. 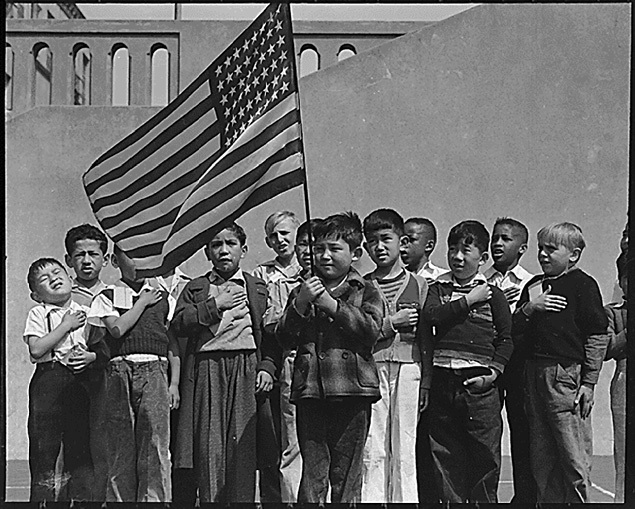 Men, women and children who, in the majority of cases, were citizens of the United States. 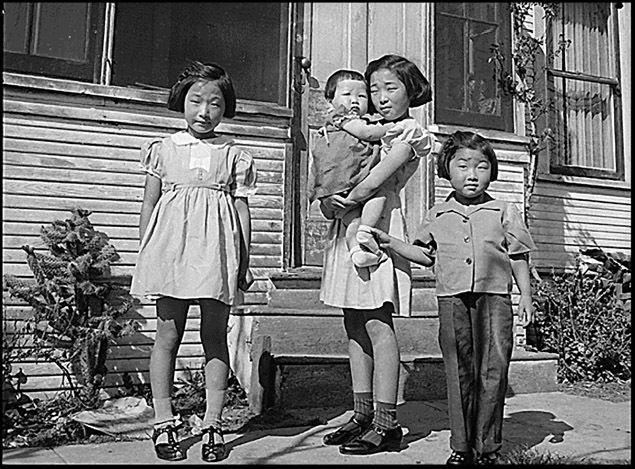 Men, women and children of Japanese descent. With those words began the internment — the rounding up and locking up — of innocents. Not because there was evidence that they posed any kind of a threat. But because of fear that they might. 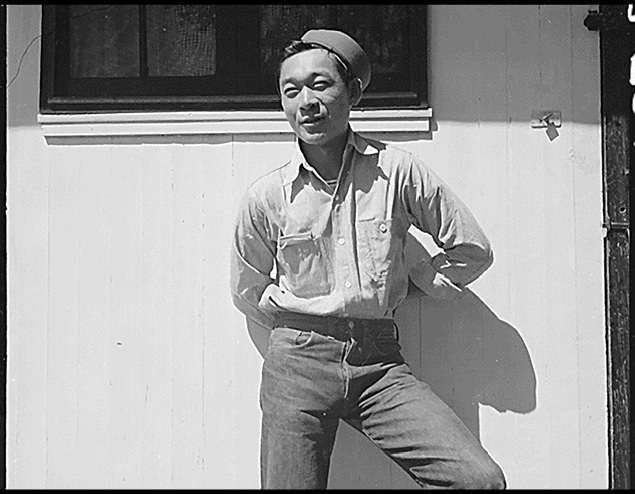 You can read Executive Order 9066 on the National Archives website here. And you can witness the aftermath in some of the most powerful photographs ever taken. The fastest way to find Lange’s photos online is to head to the National Archives Catalog and the advanced search page there. Enter Dorothea Lange as the search term and 210 for the Record Group Number. Thank you, Judy. The home of my early childhood was less than 20 miles from the Granada War Relocation Center (commonly called Camp Amache) near Granada, Colorado. It was the smallest of the camps. Although the camp had a total of 10,000 acres, only 640 acres (one square mile) was used for residential, community and administrative buildings. The camp’s peak population was 7,300. The Muranaga family was among those interned at Camp Amache. Three sons (Kiyoshi, Yoshio and Kenichi) joined the military and fought for this nation, their nation. The oldest son gave his life for his squad. In 2000, PFC Kiyoshi Muranaga’s Distinguished Service Medal was upgraded (corrected, in my opinion) to the Congressional Medal of Honor. Sad what hate, jealousy, ignorance and fear can/will do to a family, nation, society. The United States is not alone – Canada shares the same shame. Moreover, we did it during both World Wars. In WWI, we interred Canadians who were classified as “enemy aliens”. This extended beyond Germans – people of Ukrainian, Bulgarian, Croatian, Hungarian, Italian, Polish, Serbian, Turkish, Romanian and Russian descent were also rounded up (primarily because they originally hailed from Austria-Hungary). The order to do so did not go through parliament and was somewhat akin to an executive order. Under the War Measures Act, the federal cabinet issued several Orders-in-Council enacting the internments. A majority of internees were men, and were forced to do heavy physical labour. For example, the federal government cut the budget for our national parks because it relied on the cheap and unwilling labour of the internees. Banff and Jasper National Parks exist largely through their labour. We did it again in WWII, to Japanese-Canadians. Again, the internment was enacted through Order-in-Council. I happen to live in an area that had a large Japanese-Canadian population, many of whom were interred. This was on top of ongoing and increasing restrictions that had been imposed on them. White fishermen resented competition from Japanese-Canadian fishermen. They benefitted not only by the removal of what little competition remained, but also by the seizure of the Japanese-Canadians’ property, which included their fishing vessels. I had the opportunity to visit Manzanar National Historic Site which was an internment camp in California. One of the most poignant exhibits was about the many beloved pets that families were forced to give up with only 24-48 hours notice — little time to make proper arrangements. I recommend visiting Manzanar — it really humanizes this moment in history so that its true horrors and injustices can be better understood. Thank you, Judy, for observing this important moment in history. It is a shame things like this happen during war. One of the side effects of war is paranoia. This is the most terrible weapon in any arsenal. Paranoia is a double-edged sword in that it can save and destroy lives in times of war. For instance, as a 4 year old boy in Houston, a German came thru the neighborhood passing out a white substance that looked like rice, the children who put it in their mouths lost their tongues, holes in their cheeks, etc. I did not take any but another kid dropped some in my boots. There is a big scar where it disolved the meat away. Parents said they did not catch the man but all the children were screaming, some of the older kids told what happened. Now, all the parents suspect every German, good or bad. Dutch…sounds like a German, things just snowball due to paranoia. Everyone reading this is probably subject to this same thing if something like this happened to your children. That is why the term “War is hell” fits so aptly. Stain on our honor? It is a stain on the human race! Remember too the interned German Americans and Italian Americans who are usually forgotten in the story. A good book, among many, on their stories is The Train to Crystal City: FDR’s Secret Prisoner Exchange Program and America’s Only Family Internment Camp During World War II by Jan Jarboe Russell. What is amazing to me is time has healed those terrible atrocities. Do people remember? Yes, and for good reason, that we may in some way, prevent these things from ever happening again. My parents never held anything against the German people for one random act of a madman. The Japanese and German and peoples are some of our closest allies. I was in deutschland for two and half years. I had friends there. It is possible to overcome prejudice, I think we are getting better at it, I pray we are, for all of us. 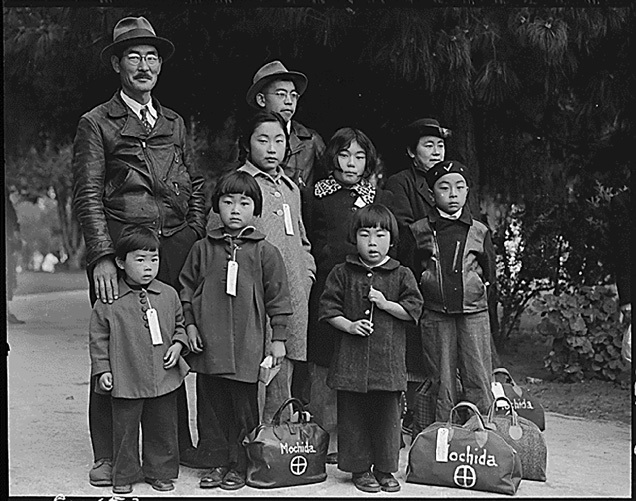 The total number of internees (as opposed to enemy aliens) from all other countries is dwarfed by the Japanese internment, and only a handful were American citizens. This needs to be considered separately and not lumped together. Was there any effort to hide Japanese-Americans from this roundup or otherwise resist it by other Americans? My dad didn’t remember any such movement. I know political influence eventually stopped the large scale internment of German and Italian Americans and there was a legal challenge to FDR in the Federal Courts. There never was “large scale internment of German and Italian Americans.” There was some limited internment, yes, but nothing on the scale of the Japanese and nothing aimed at American citizens. 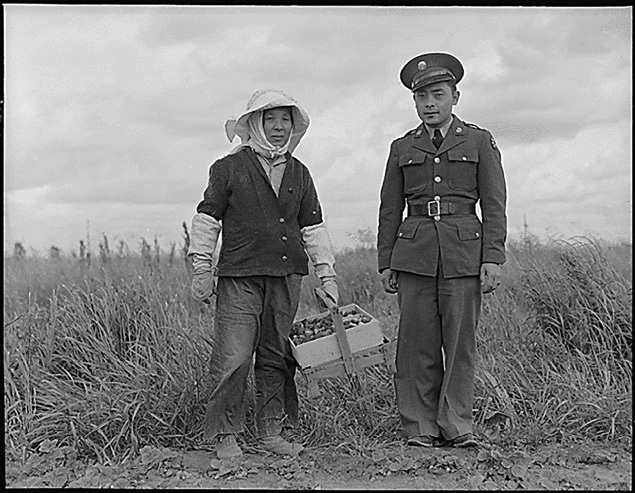 There was some resistance to the internment of Japanese but most inland, not along the coast. Before I started doing genealogical research, I did not know that there non-Japanese internees. My point in mentioning the internment of German Americans and Italian Americans was for completeness. The story is most frequently told omitting them, either intentionally or unintentionally. You may not consider 10,000-12,000 people to be “large scale” but I do. (That’s just the German Americans.) Yes, the numbers are far less than those for the Japanese Americans but that does nothing to justify or mitigate what happened to them. And, yes, they were mostly German AMERICAN CITIZENS. They were naturalized (mostly the fathers and some of the mothers) and those born here who were citizens (some of the wives and most of the children). Some of these people were traded to Germany for “more important” Americans like diplomats, missionaries, and businessmen who were stuck in Germany when the war began. From a genealogical research perspective, people need to realize that this happened so that they understand where they may need to look to find those “lost” relatives, particularly whole families, who disappeared from, for instance, their Pennsylvania farm and can’t be found again. They may be listed in internee roles in, for instance, New Mexico. They may also be in the censuses of Germany after the war. Such a sad story and one wonders how they recovered from that treatment. I often wonder how my naturalised Australian 2 x great grandfather felt being treated like a pariah at age 80 odd after 60 years in Australia. He wasn’t interned but legally was required to report regularly to the Police. Do you mind sharing your source for the numbers of enemy alien internments by nationality or ethnicity? I would like to read more in depth. Thanks.